Plenty of snow greeted me in the pre-dawn. Sledding this afternoon! A short peek at winter before Halloween is a righteous start to what we trust will be a killer season. If you've been in the ship lately you have undoubtedly noticed the lack of flavor that normally drips from the walls. 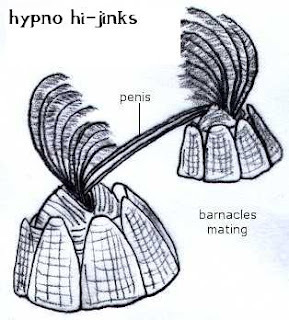 It is true, every night we scrape a few barnacles from the vessel and place them in dry storage (my garage). Soon (Friday) we will need willing sailors for the back-breaking work of moving the rest of the barnacles. Friday morning I am brewing coffee, Gary baked cookies for you, and the vessel shall be eternally grateful. As a primer to the expected work ethic, I'll be accompanied tomorrow by Mackie. His Mackness is no stranger to hard work, I am sure he will be waiting outside of the shop having run (perhaps barefoot) to the shop just to make the start of his workday a little harder. That's the kind of ethic we need on Friday...BRING IT! Following our moving out of the Thomas vessel we will be dry docked and waylaid for a period...up to the first high tide, November 7th. That's a Friday to you non-sailor types, and during the week between closing (docked) and opening (sailing), the HypnoFamily is heading north to New Jersey to visit Summer's family. For us it will be a well deserved, albeit short period, of R & R, that's vacation to you non-sailors, and not a moment too soon.